Dr. Mohamadzadeh is an immunologist with expertise in the fields of inflammation, systemic/mucosal immunology, infection, and vaccine delivery. 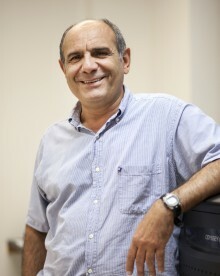 He is also experienced in working with various therapeutic approaches that focus on the role of innate immune cells, particularly dendritic cells, and how these cells determine the fate of virgin T and B cells toward various T and B cell subset activation in steady state, infection, and auto inflammatory diseases, including IBD and colon cancer. Additionally, his focus is currently centered on an oral targeted vaccine that not only induces intestinal but also systemic immune responses against pathogen challenge.